IT’S MORE THAN JUST A TOY. HUPS IBM BUST FOR HOURS! 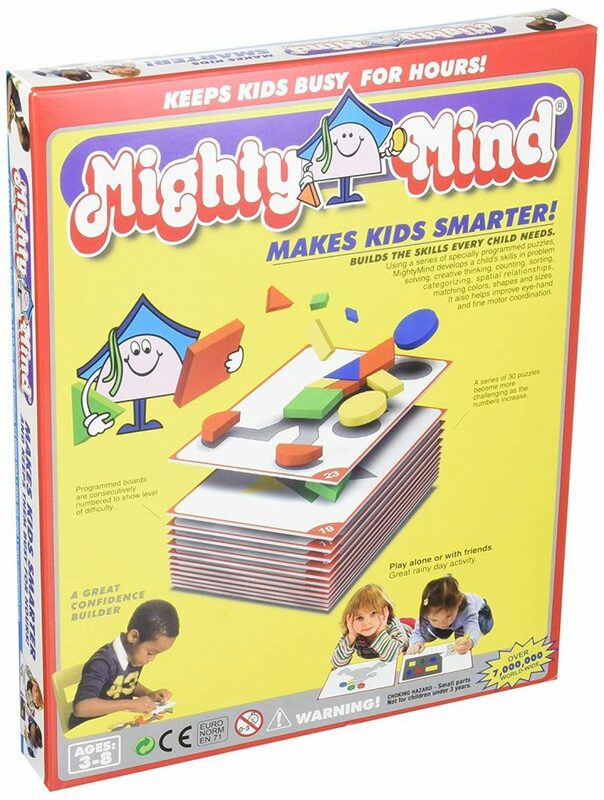 MightyMind®is one of the top five essential toys. At first glance, it looks like just a box of shapes and puzzle cards, but don’t be fooled. MightyMind is more than a toy. skills at a very early age. time they play with MightyMind. learning toy, because kids get totally absorbed playing with it. It pulls on their thoughts and challenges them. benefits it brings and it keeps their kids busy for hours. has been selling them, the enthusiastic praise is unanimous. KEEPS KIDS BUSY FOR HOURS! AVAILABLE AT THE BEST RETAILERS IN 26 COUNTRIES AROUND THE WORLD. essential analytical thinking skiDOs in just 30 steps. GOOGLE MIGHTYMIND AND SEE WHAT PARENTS AND GRANDPARENTS ARE TELLING THEIR FRIENDS. YOU MADE A GREAT CHOICE. builds a child’s confidence and self-esteem. must have for future success. described on the MightyMind website. SuperMind® are registered trademarks of Leisure Learning Products, Inc.